If you’ve heard of the opioid crisis, you’ve probably also heard of crackdowns on prescription medications. This is happening because certain opioids are commonly prescribed for pain relief. While they are safe when used over short periods of time as prescribed by a doctor, many people misuse prescription opioids—commonly resulting in addiction or overdose. According to the Centers for Disease Control and Prevention (CDC), opioid overdose deaths increased by 27.7 percent between 2015 and 2016. Bringing it a step closer to home, the Midwestern region of the U.S. had a 70 percent increase in opioid overdoses between July 2016 and September 2017. These statistics show the state of the opioid crisis in our nation. It is commonly assumed that only doctors and drug addicts can end the crisis—but by properly disposing of all prescription medications, every American can take a step toward ending the opioid crisis. Expired or unused medication can be a hazard to public safety and the environment. Properly disposing of these medications can limit misuse and cut back on harmful substances entering the environment. Fortunately, there are several ways to empty your medicine cabinet without compromising public safety. It is never advisable to share prescription medications with others. Doctors prescribe medications based on individual circumstances. Taking medicine that wasn’t prescribed to you could have harmful repercussions, such as overdose or undesirable interactions with other medications. Most medications come in a container with specific instructions for disposal. Certain medications, such as fentanyl patches or other strong narcotic pain medicines, have instructions for flushing. Prescriptions in patch-form tend to hold medicine even after use. Flushing the medication can prevent illegal or unintentional drug use, like an overdose. While many are concerned about the dangers of flushing prescription medication, the U.S. Food and Drug Administration (FDA) assures consumers that there have been no signs of environmental effects caused by following specific instructions for flushing drugs. It’s also important to refrain from burning certain medications. Inhalers and aerosol prescriptions can be dangerous if punctured or placed in a fire. If there are no directions for disposal provided, a safe option is to throw the medication in the trash. 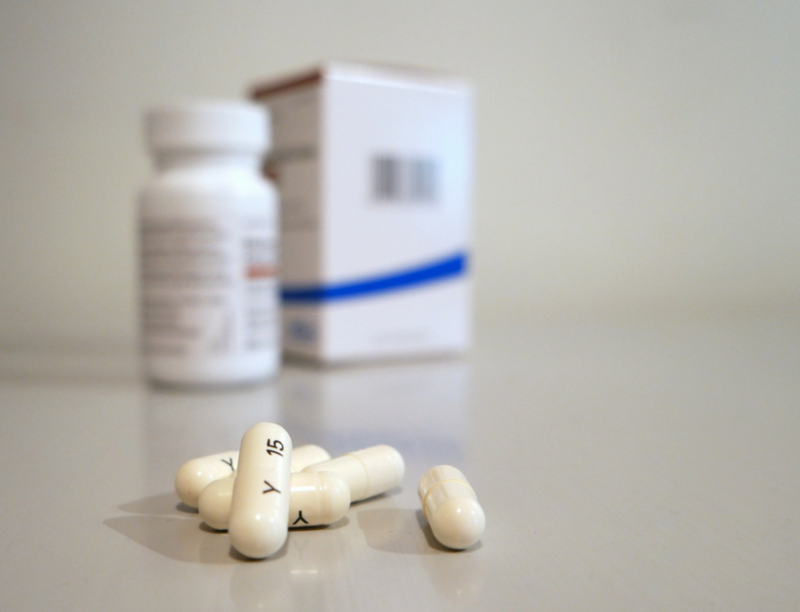 To prevent misuse, it’s important to take additional precautions when throwing away medications. Follow these quick and easy steps to safely dispose of medicine in the trash. Remove, scratch off, or cover any personal information on the prescription container to protect your identity and health information. Take the medication out of its prescription container and mix it with used coffee grounds, dirt, kitty litter, or another substance. This measure will keep animals, children, or anyone who might go through the trash from easily recognizing the medication. Pour the mixture into a sealable bag or container and place it in the trash to prevent spills or leaks. These precautions will prevent the medication from leaking in the trash or being found and misused by another person. If you’d prefer to not dispose of your prescription medication yourself, you can take it to a drop-off location in your area. The DEA has a database of controlled substance public disposal locations where you can search for year-round drop-off locations around the country. Twice a year, in April and October, the DEA hosts National Prescription Drug Take Back Day. On this day, a variety of law enforcement facilities and other businesses host collection sites where citizens can bring their unused prescriptions for proper disposal. National Prescription Drug Take Back Day has wide participation around the nation. Unfortunately, Oklahoma has some of the lowest participation rates. On October 28, 2017, 4,274 law enforcement agencies around the United States participated in the event. Oklahoma was in the bottom ten states with 29 law enforcement agencies participating. That same day, there were 5,321 total collection sites in the U.S—Oklahoma had 30. Between all of the sites in the nation, 912,305 pounds of medicine were collected. Oklahoma collected 1,307 total pounds. The next National Prescription Drug Take Back Day is on Saturday, April 28, 2018. The Oklahoma Bureau of Narcotics and Dangerous Drugs regularly updates a statewide listing of prescription take back locations to help you easily find one near you. 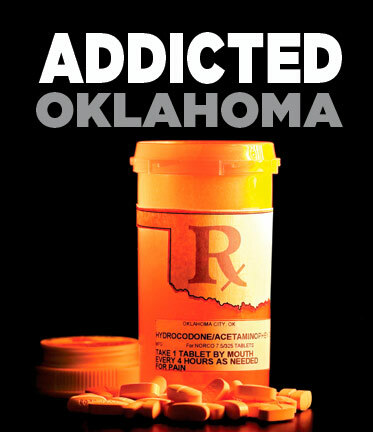 Help Oklahoma continue to fight addiction through education by properly disposing of your expired or unused medications. For more ways to join the fight, contact us today.